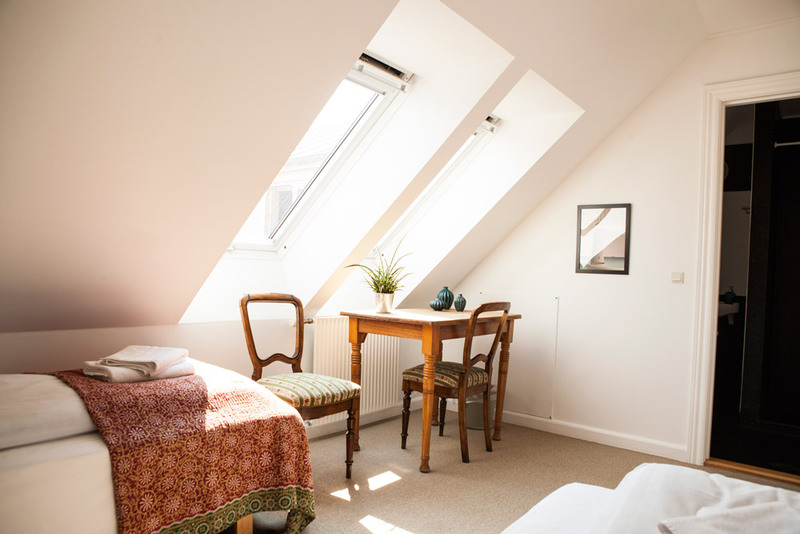 Femmasteren offer several different types of rooms, from hostels to hotel rooms. You can book rooms from 1-5 people. The price is incl. access to wellness area and breakfast buffet. Double bed 140cmx200cm or two single beds 90cmx200cm. We have 4 of this type of room. The room is 10 m2. excl. bathroom. The room is furnished with a console table, 2 seats, TV, mirror, as well as a hat rack. Free tea / coffee in our hostel kitchen. The room will be cleaned everyday and if the guest gives notice, new towels will be added. For more than 3 days accommodation bed linen are changed. There is soap / shampoo in the shower cubicle. The price is incl. access to our wellness area and breakfast buffet. The room is approx. 10 m2. excl. bathroom. The room is furnished with either a console table or coffee table, 2 seating areas, TV, 1 dresser / shelf and mirror, and a coat rack. 2 towels for each. There is coffee / tea available in the hostel's kitchen. There is soap / shampoo in the shower. The room will be rescued everyday and if the guest gives notice, new towels will be added. Bed linen is changed for more than 3 days. Bathrobes are available in this room. Obs. This room shares a bathroom with possibly. guest from single room no. 26. The room is about 10 m2. excl. bathroom. We have 1 of this type of room. 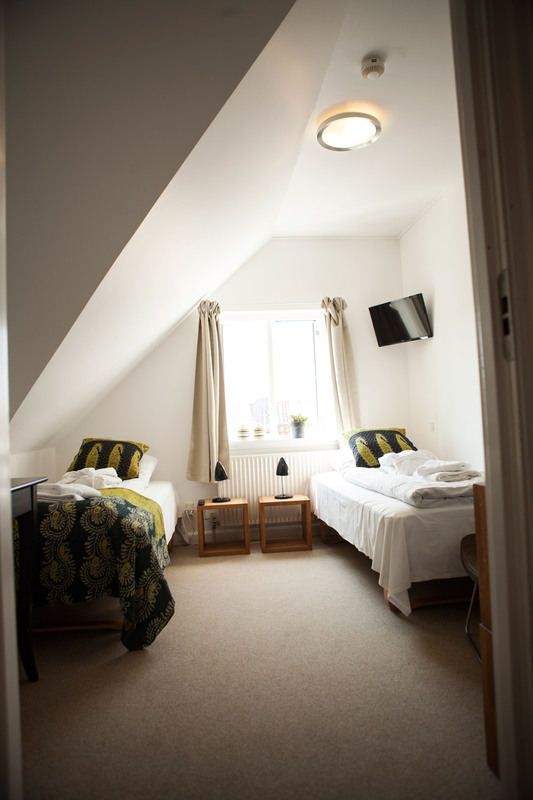 The room is 9 m2 and is furnished with 1 bed, table and 1 chair and an extra mattress for clothes, seating and mirror, as well as a hat rack. 2 towels in the room. There is soap / shampoo in the common shower cubicle in the hallway. For more than 3 days accommodation, bed linen are changed. The shared room has 4 beds. You can book a bed and you do not know who you are sharing a room with. Just like in old days when youth hostels had dorms. The room is furnished with 2 bunk beds, a table and 4 chairs, as well as a closet divided into 4 rooms (one room for each bed). The closet can be locked if you bring a padlock. You can bring your own bed linen or you can rent it by Femmasteren. The room is excl. Breakfast buffet. You can use our hostel kitchen or you can order our delicious breakfast buffet. The size of the room range from 8.5 m2 to 11.5 m2. This room can be booked by 1 or 2 people the price is the same. The room is furnished with 2 bunk beds or 1 bunk & 1 single bed, but you choose whether you want to use the bottom or top bunk. The room is furnished with a table with chairs, cabinet and a knit rack. The size of the room range from 8.5 m2 to 11.5 m2. Although there may be more beds in the room than booked, only the person who has booked the room stays in the room. You can bring bed linen yourself or you can rent it by Femmasteren. The room is excl. Breakfast buffet. You can make use of our hostel kitchen or order our delicious breakfast buffet. 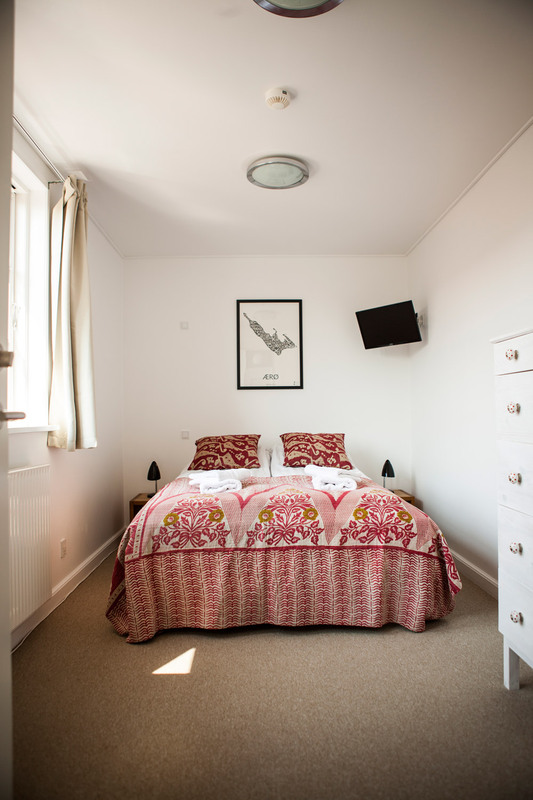 The room has 3 beds - 1 bunk & 1 single bed and in some cases 2 bunk beds. The room is furnished with a table, chairs, cabinet and a knit rack. Although there may be more beds in the room than booked, only the person who has booked the room stays in the room. You bring your bed linen yourself or you can rent it by Femmasteren. The room is excl. Breakfast buffet. You can make use of our hostel kitchen or you can order our delicious breakfast buffet. The room is furnished with a table, chairs, cabinet . You bring your bed linen yourself or you can rent it at Femmasteren. 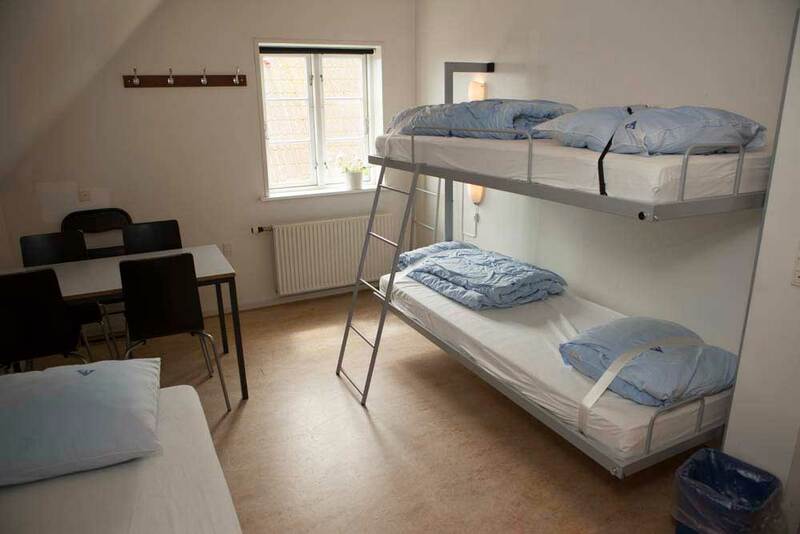 The size of the hostel rooms is between 8.5 m2 and 11.5 m2. The room is excl. Breakfast buffet. You can use our hostel kitchen or you can order our delicious breakfast buffet.